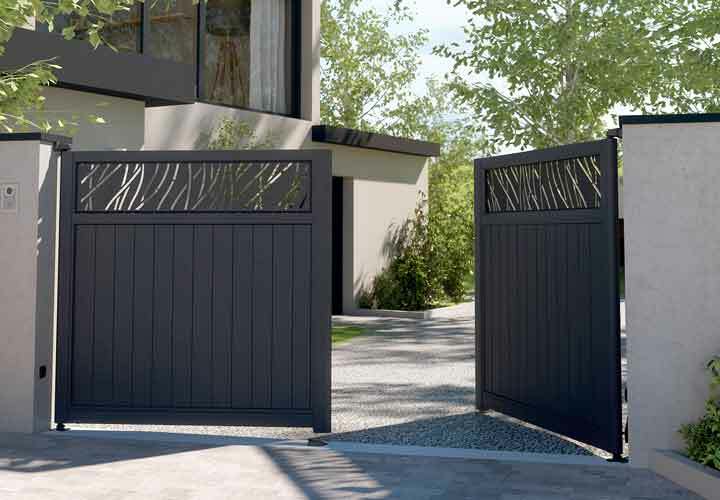 Our beautiful range of aluminium gates reproduces the most popular styles of traditional wooden gates, wrought iron and contemporary gates in a form that is virtually Maintenance Free and very long lasting. Speak to our dedicated team now on 0161 406 5910 to arrange a free no obligation site visit and quotation. 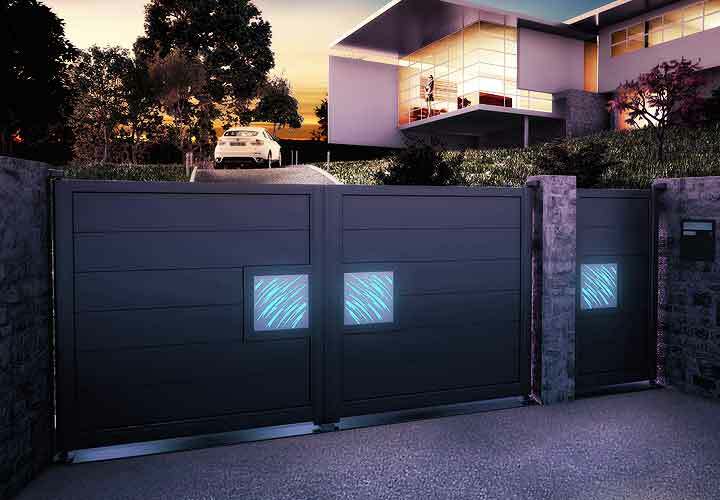 Browse our most popular ranges of aluminium gates below. For custom solutions please get in touch. Offering privacy and style in a superb choice of woodgrain finishes. Beautifully designed and available in a wide choice of colours to match household features. A fantastic range of traditional designs, without corrosion or maintenance. 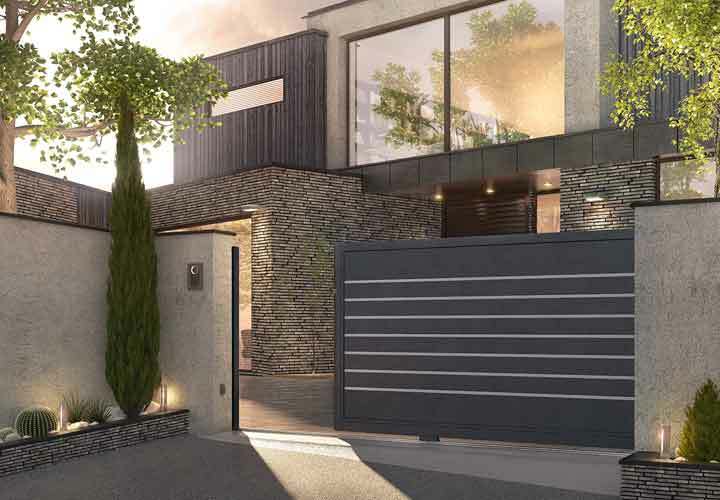 A sleek, modern collection that adds superb finishing touches to a beautiful property. 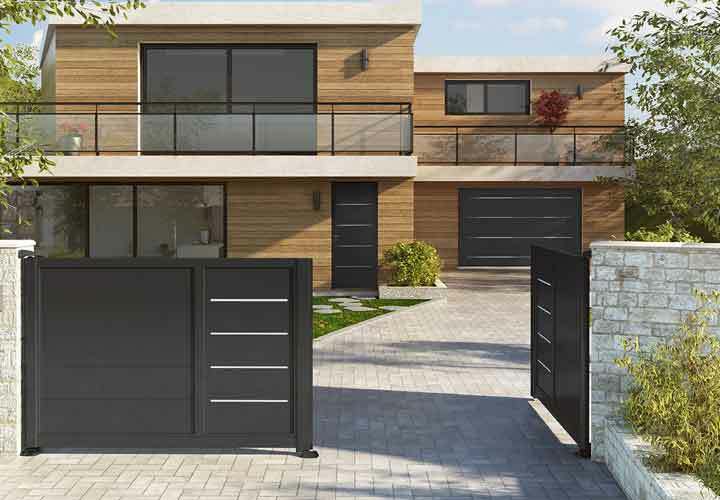 One of the most popular collections that we offer, aluminium gates with aluminium inserts or stainless steel and acrylic glass integration. Creatively modern, this stunning collection offers the ultimate in minimalistic design. 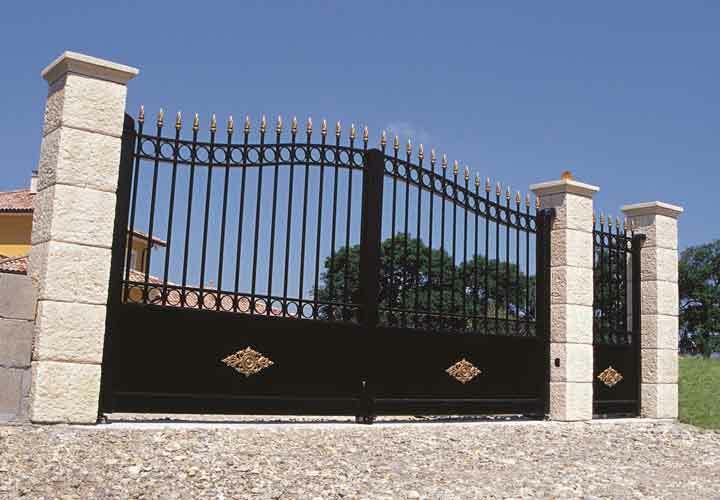 Offering more choices than any other range, this unique collection of gates allows so many personalised touches. Mixing modern with traditional, this collection offers originality and excellence to any dwelling. A completely original concept, offering modern designs with state of the art lighting, controlled via an app. Ultra-modern and completely different, this collection offers so much style and elegance, to suit any kind of property. 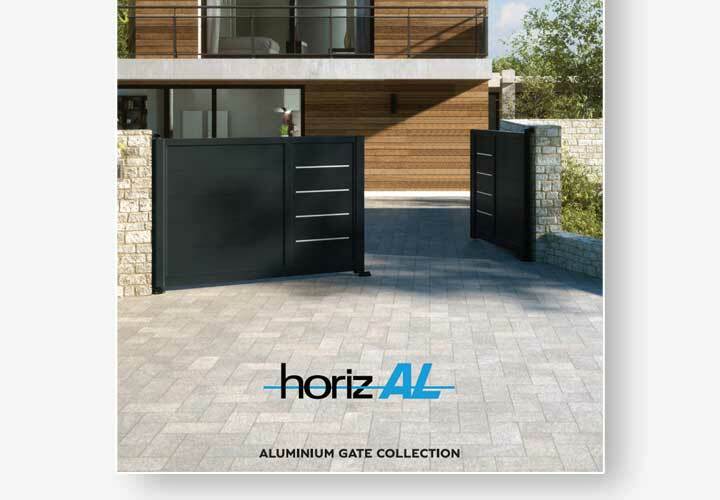 For complete information on our range of aluminium gates, please download our brochure – available here as a pdf file. Check out our news section for regularly updated information on our latest installations. 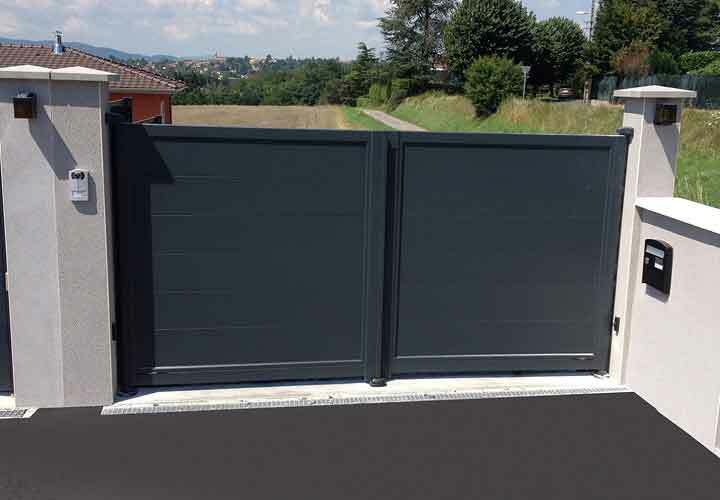 Existing wooden or steel gates can be easily replaced with the installation of a brand new Aluminium, virtually maintenance free gate. 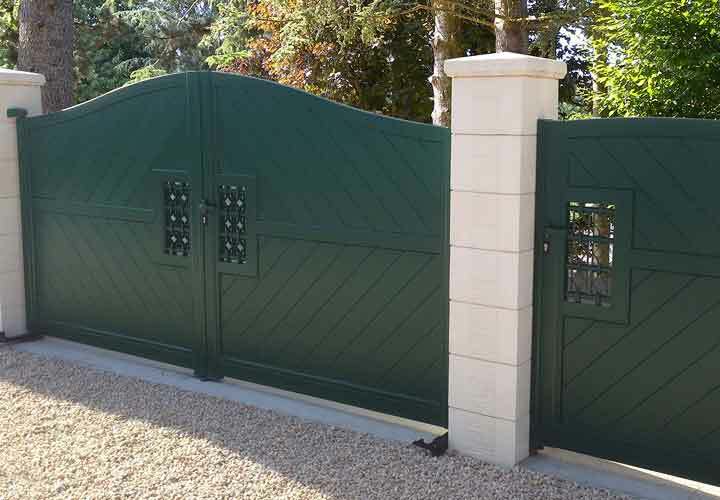 The integrity of the design, the build quality and the style of the gate will enhance the look and kerb appeal of any property and will add value and security to your home. 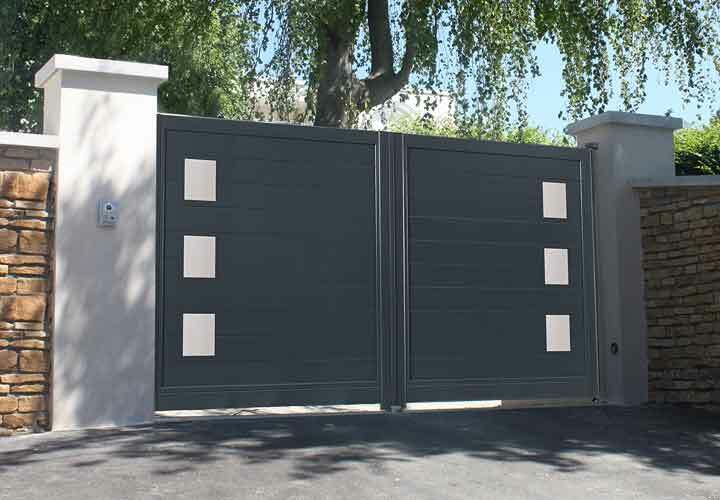 We offer not only a wide range of gates, but also many personalised solutions. 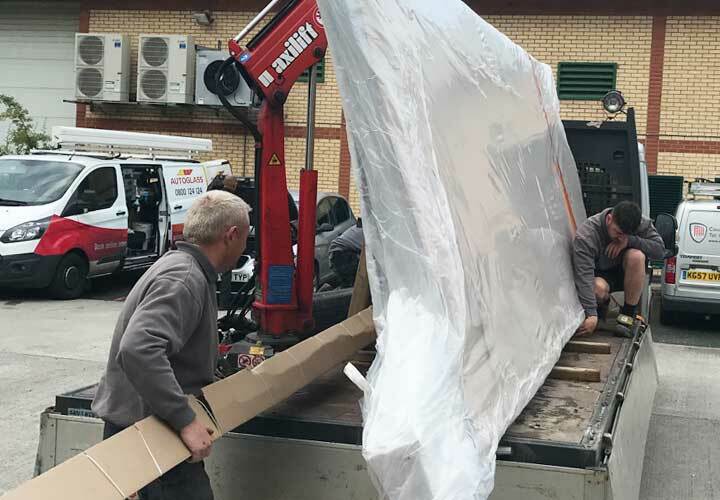 We are absolutely delighted with the Horizal gates that you have installed and with the service that was provided by the installation team, professional, courteous and very efficient. I mentioned to the guys that they should have put a board outside our house and to mention this to Nick. On that basis I am quite happy for you to leave an advertising board for a couple of weeks if that helps. Extremely happy with the service we received. The gates look excellent and compliment our barn conversion, just what we were looking for. 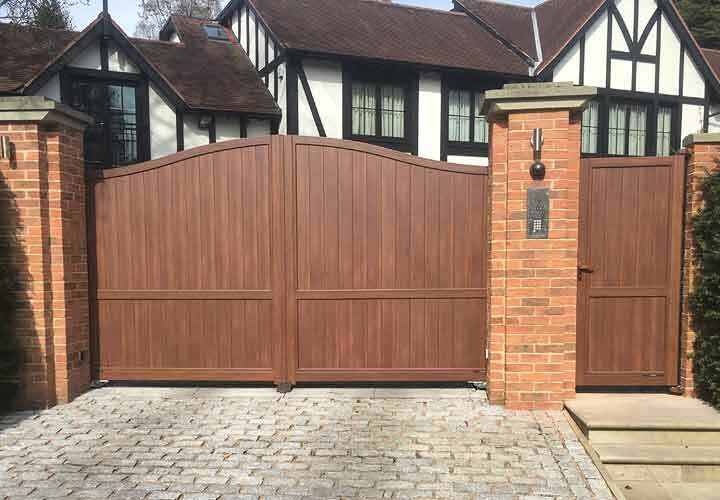 We were so pleased with the automated solid wood gates CG installed at our old home some years ago, that we had no hesitation asking them to install new automated gates at our new home when we moved earlier this year. 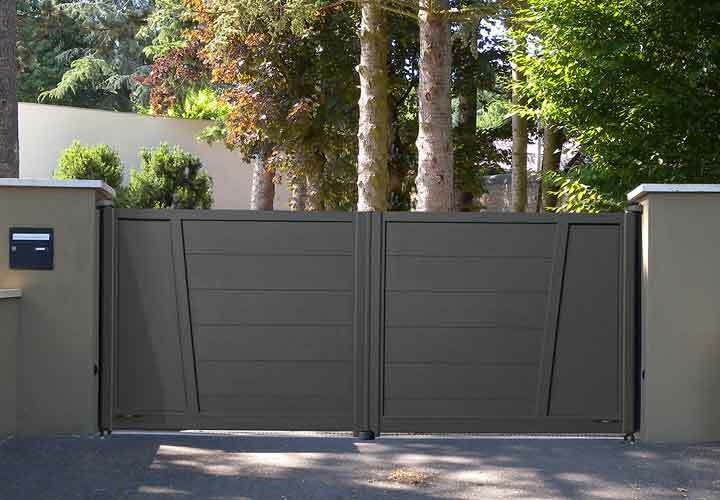 The new automated gates are low/no maintenance wood-look aluminium and have attracted a range of compliments right from installation. Any “teething” issues were dealt with promptly and efficiently. To that end, we have no qualms recommending you to any of our friends. My new gates are absolutely fantastic and I don’t know how I managed without them. I feel so safe and secure since they were fitted and would recommend you to anyone. Thank you so much. Jen, I’ve got absolutely no problem with you using a picture of the gates. Absolutely delighted with the gates, they make life so much easier… especially when it’s raining lol.